Spend your boat holiday in Greece aboard an elegant Lagoon 470. This 4 cabin luxury yacht is available to charter in Lefkada and throughout Greece. You and up to 7 other guests can enjoy this skippered or crewed holiday experience when you book instantly or with one of our holiday experts. 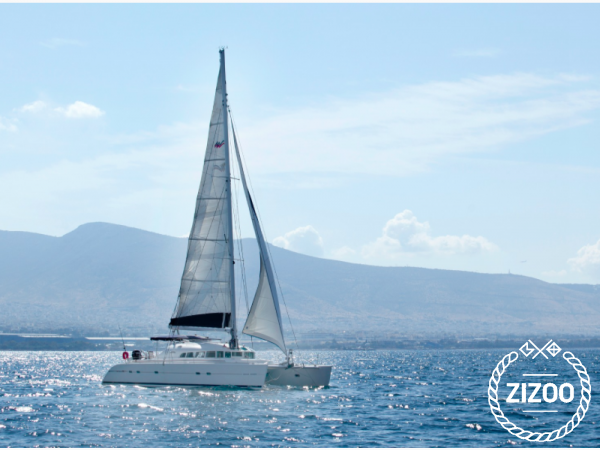 Lagoon catamarans such as this 470 model provide a comfortable and chic way to travel and explore the beauty of Greece’s islands. In between visits to charming villages and ancient ruins, you and your group can enjoy stopping at hidden coves for a swim or taking out one of the yacht’s water toys that are available upon request.